Even though passwords can be of great help to protect your data, they can be irritating at times when you forget them. This is most annoying when you are in need of an important document the most and have forgotten the password. In order to address this issue, today we will learn how to unlock LG screen lock password, pattern, and pin. Let us begin. Here are some ways that can help you if you to know how to unlock LG phone forgot password. Android device manager is present on all the devices operating on the Android OS. This feature has a number of advantages and one of them is bypassing the password or pin. If you want to know how to unlock LG phone screen lock, here are the steps that you need to follow. Step 1 Firstly, go to the google.com/android/devicemanager website. You can visit this website on a different handset or a PC browser. 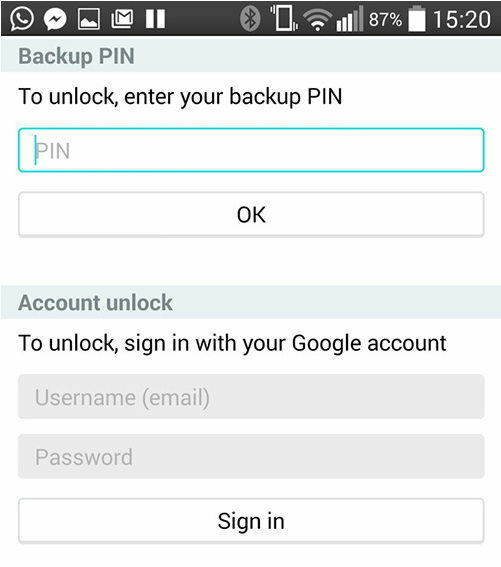 Step 2 Next, all you need to do is log in to the Google account Sign that you have used to set up your LG handset. Step 3 Next, in the ADM interface, choose the device that you wish to unlock. Step 4All you need to now is tap on the "Erase" option. This will erase all contents including removing the lock screen password on LG. Tenorshare 4uKey is one of the best options that users can use if they forgot password on LG, Samsung, Huawei, or other Android phones. This tool is used to remove password, pins, and patterns from all Android devices with a single click. In addition to this, the tool supports all types of devices covering a huge range of mobile phones from different manufacturers. Here are the steps that you need to follow. Step 1Begin by connecting your PC and handset with a cable. 4uKey will detect your smartphone and install the driver on your device. Step 2 After the device is connected, the tool will promote you with a message. Step 3 On the main interface, tap on "Remove" option. This will remove the password on your device. This process will consume few minutes, so need to hang around for a while. Once the process is over, it will delete all your data. Tap OK to continue. Step 4 After the data has been erased, follow the wizard onscreen to put your phone in recovery mode. Step 5 Once you have entered the recovery mode, opt to factory reset and reboot your device. After the device is rebooted, you will see no lock on your LG device, thereby solving your issue. Using Google login to bypass password is also one of the oldest methods that is used. But there is one drawback of the solution. The method only works if your handset if operating on Android 4.4 or lower. Here are the steps that you need to follow if you wish to know how to unlock LG phone without the password. Step 1 Start by entering a wrong password. But you are not supposed to stop here. Continue entering the wrong password for 5 or more times. Step 2 After you have done this, a "Forgot Password" option will appear on the lock screen. Step 3 You need to enter the Google credentials. You must enter the credentials of the same account that you have used to set up the device. Step 4 Here your phone will be unlocked. You can delete password files with the help of ADB directory in your PC to bypass the password of your LG device. Even though technical background is not compulsory, we would recommend performing this with expert advice. Here are the steps that you need to follow if you wish to know how to unlock LG phone pattern lock without factory reset. Step 1Connect your smartphone to the PC with the help of a cable. 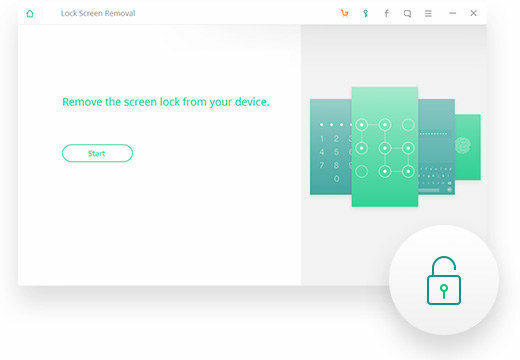 Step 4 Reiboot your smartphone and your lock screen will be vanished. If none of the above solutions work, factory resetting will definitely. There one drawback of the solution. This will erase all your data and you will be left with nothing but a phone similar to a brand new one. If you are ready to take the risk, here are the steps that you need to follow. Step 1Start the Bootloader menu by pressing Power and Volume down button simultaneously. Step 2 Go into the recovery mode from and chose "Factory Reset." Seeing the big picture here, you just had a look at the top 5 methods that can be used to know how to unlock LG phone password without losing data. And obviously, a Tenorshare 4uKey - LG password unlocker seems to be the easiest and best method that user can try. If you have any other solutions, feel free to tell us by commenting below. In addition to this, you can also let us know your feedback on the article. This can be done by commenting below.